This weekend we were hanging at a friend's house and a totally impromptu POODLE PARTY got going. On the blog I named after my little Prince furbaby, I must report this preciousness. Bear: EEEEEE! I love fun! EEEEEE! I'm cute! EEEEEE! At the time, I didn't notice how super awesome he is. 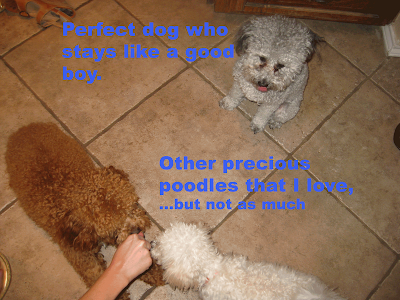 Typically the Prince is the unruliest pup in the pack. He's been known to do some mischievous things. But, upon re-examining the photographic evidence of the night, I learned of this greatness. I've never been more proud. Even typing it now, days later, I'm one beaming puppy mom. ...just because manfriend + puppies totally melts my heart. Surprise poodle party is a treat that I hope I get much more often. Even if it isn't a surprise I still think I need more of them in my life! How cuuute! I can watch dogs play all day! 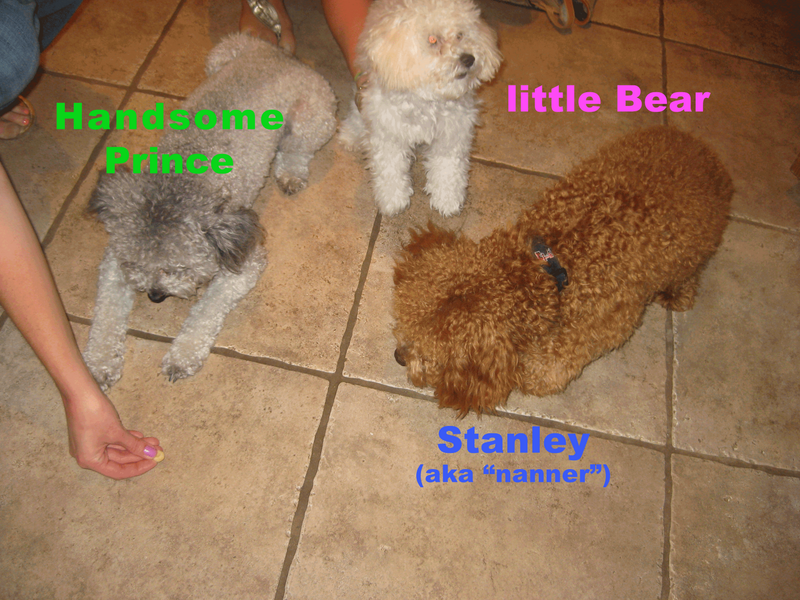 haha I love how each poodle are different colors. SO CUTE!! !